We can't believe it's been over 20 years since super-group the Spice Girls unleashed their debut single Wannabe on the public and changed the face of Girl Power forever! We loved everything about Posh, Scary, Sporty, Baby and Ginger, from their bold '90s style - we were so jealous of their sky-high Buffalo trainers, platform boots and crop tops! 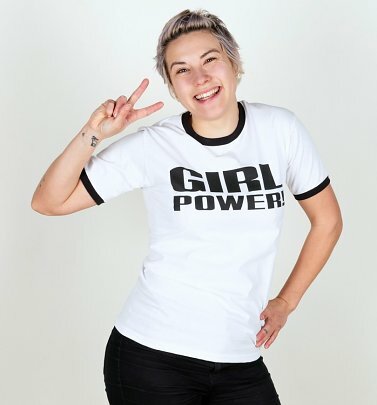 - to their super-catchy tunes and fierce dance moves, chock full of '90s attitude. 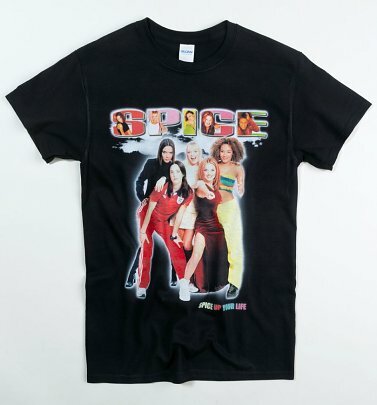 Take yourself back to those heady pop days and pay tribute to the fab 5 with our quirky Spice Girls T-Shirts and Fancy Dress. Check out our hand-illustrated Zig-A-Zig-Ah tee and vest by Hero And Cape or our Union Jack Fancy Dress Costume, paying tribute to THAT amazing Cool Britannia dress worn by Ginger Spice a.k.a Geri Halliwell at the 1997 Brits - it's bound to cause a stir at your next soiree!